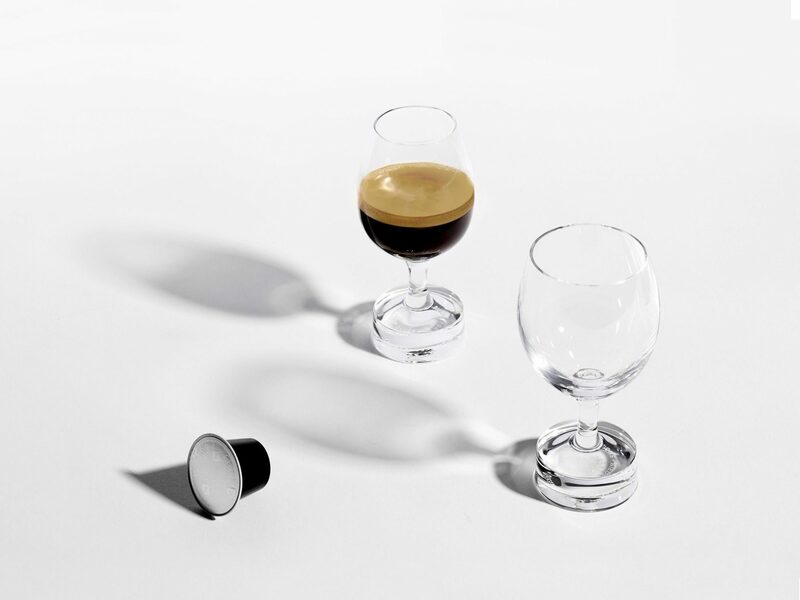 Inspired by the world of oenology, Reveal is a series of tasting glasses to create a memorable experience around Nespresso coffee. 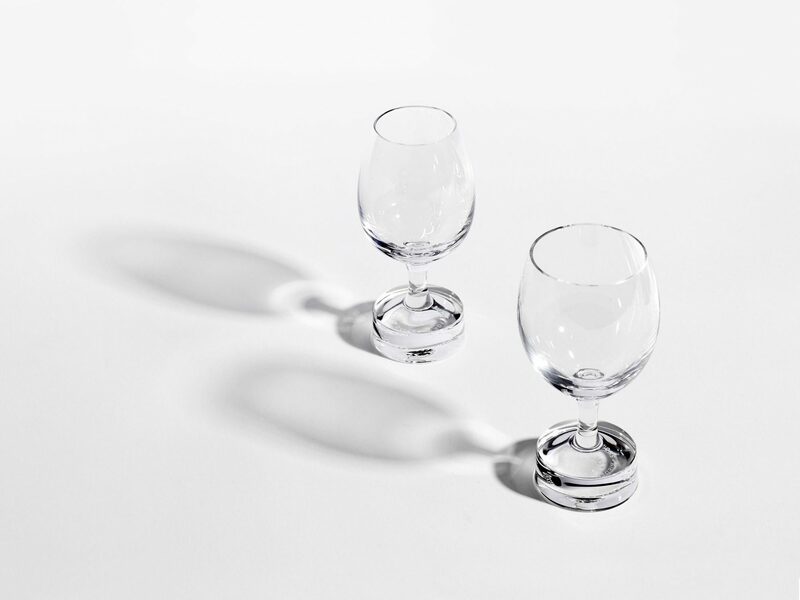 The traditional tasting glasses are scale down and turn into a new tool adapted for coffee enjoyment. 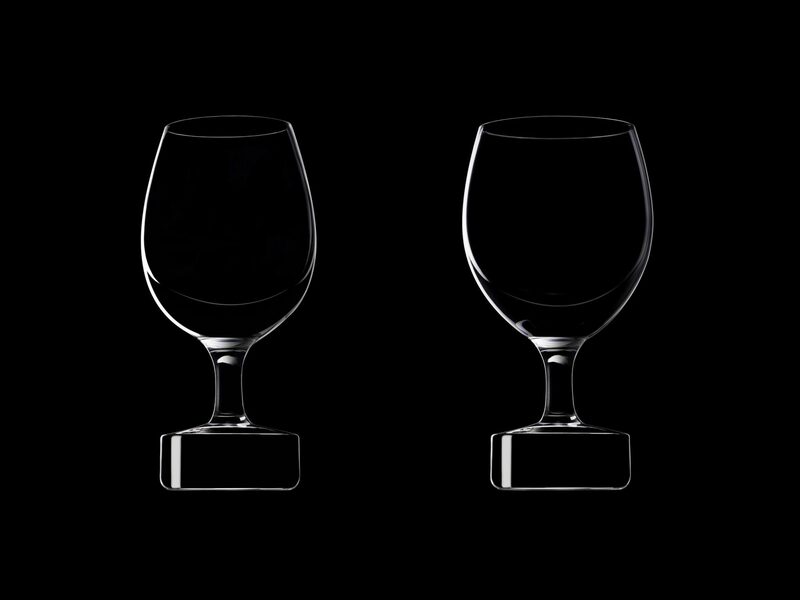 Each element of this glasses have a specific function. 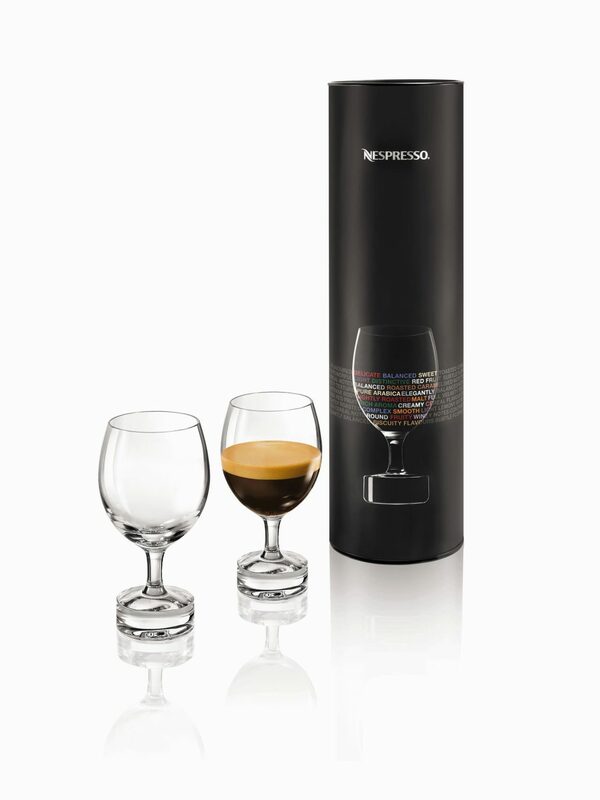 The bowl, developed by Riedel, guide the coffee aromas. 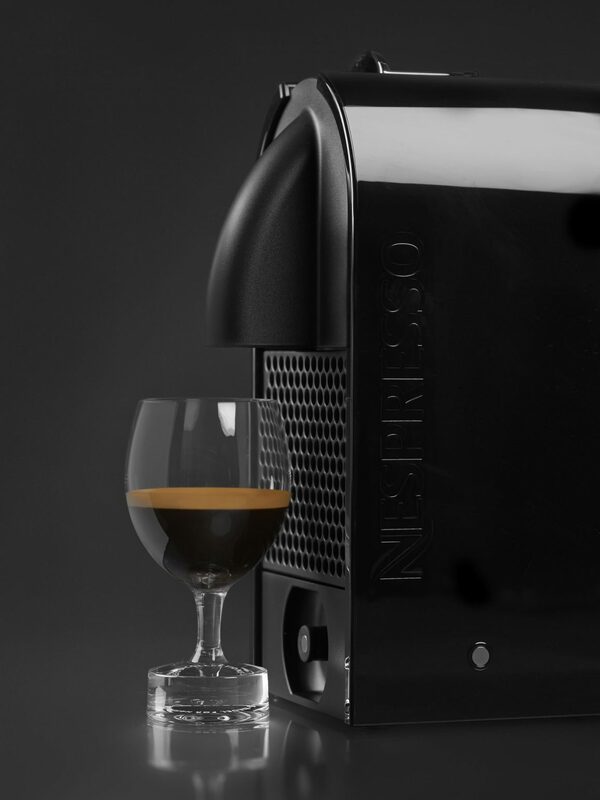 The stem and the thick base are here to make its use more intuitive & ergonomic. 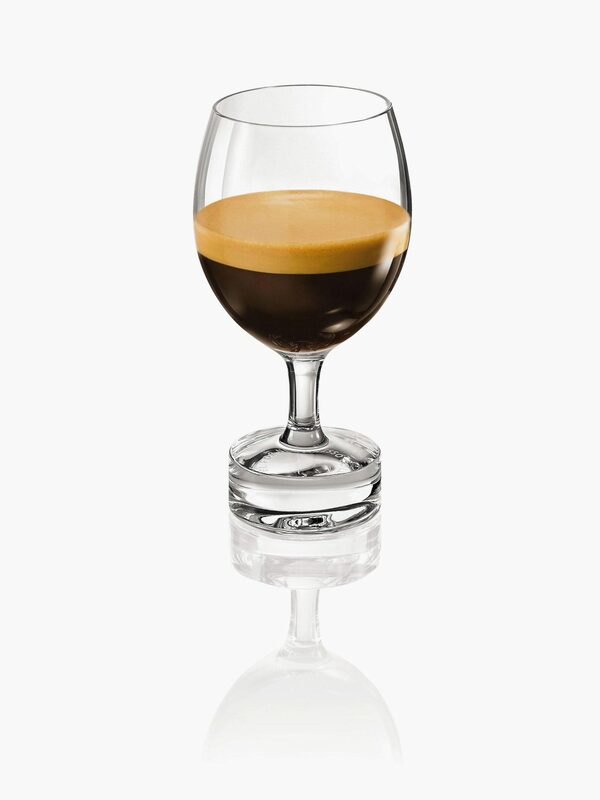 The supplementary weight of the thick base guarantees the stability of this tasting glass containing hot coffee. 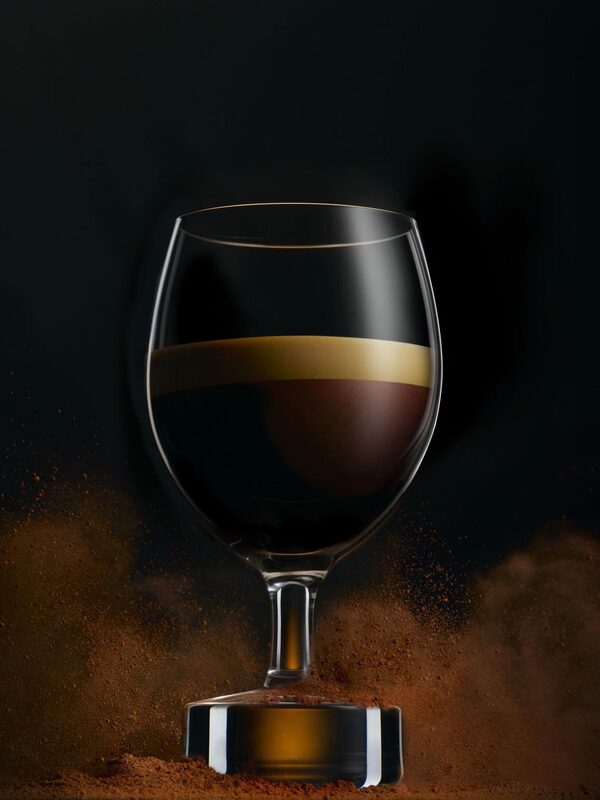 Collaboration with Alexis Georgacopoulos.